And the John Newbery Medal Goes to…Ask Lori Hancock, TLS Librarian! Ask Lori Hancock what she did in 2017, and she’ll say, “I read.” Makes sense—Lori is a librarian. They like to read. But in 2017, Lori read 400 books. That’s aggressive by any librarian’s standards, even at The Lexington School! Here’s why: In October of 2016, the President of the Association of Library Service to Children (ALSC) of which Lori is an active member, appointed her to the 2018 John Newbery Medal Selection Committee, an honor held by only 15 librarians nationwide. The Newbery Medal is the “Oscar” (Academy Awards) trophy for middle-grade books. To be nominated, books must be published in 2017 by an American resident by an American publisher in English for ages 0-14 years of age. 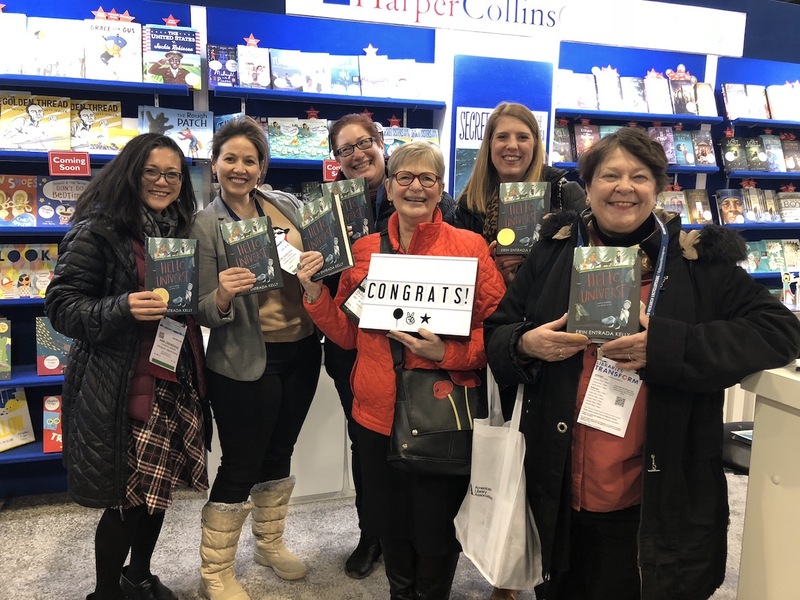 Publishers send books to the nominating committee members (Lori received over 600 books), and committee members are responsible for researching reviews, finding, and buying books independently as well. Starting in January of 2017, there is a monthly deadline for book suggestions. The (blind) suggestions go to the Chair, and if they show up on the list, you have to read the book. Starting in October of 2017, after reading hundreds of books, each committee member nominates up to three books with a justification to the Chair. The Chair compiles the (blind) list, and sends it back to the full committee for more reading. The same process happens in November and December with up to two nominated books per committee member. By December, there are anywhere from 7 to 105 nominated books (the actual number is confidential), and only those books are considered for the Newbery awards. Committee members read or re-read all of the nominated books and take notes in preparation for the mid-winter meeting in February. From 8 AM to 10 PM on Friday and Saturday of the mid-winter meeting, the committee members discuss all the nominated books and come to consensus on which books remain in play and which books are taken off the table. A minimum of 8 people on the committee must believe in the number one book, and that book must have a certain number of points ahead of the next book to win the medal. A final balloted decision is made, and the John Newbery Medal is awarded along with any number of honored books. The awards are announced at a nationally-covered press event. The winner of the Newbery medal is invited to speak at the American Library Association (ALA) conference. Hello Universe by Erin Entrada Kelly is this year’s winner of the John Newbery Medal. It is the amazing story of four children in one day who come together and form friendships, and “told from four intertwining points of view—two boys and two girls—the novel celebrates bravery, being different, and finding your inner bayani (hero)” (Harper Collins). Honor books are Crown: An Ode to the Fresh Cut by Derrick D. Barnes, Long Way Down by Jason Reynolds, and Piecing Me Together by Renee Watson.